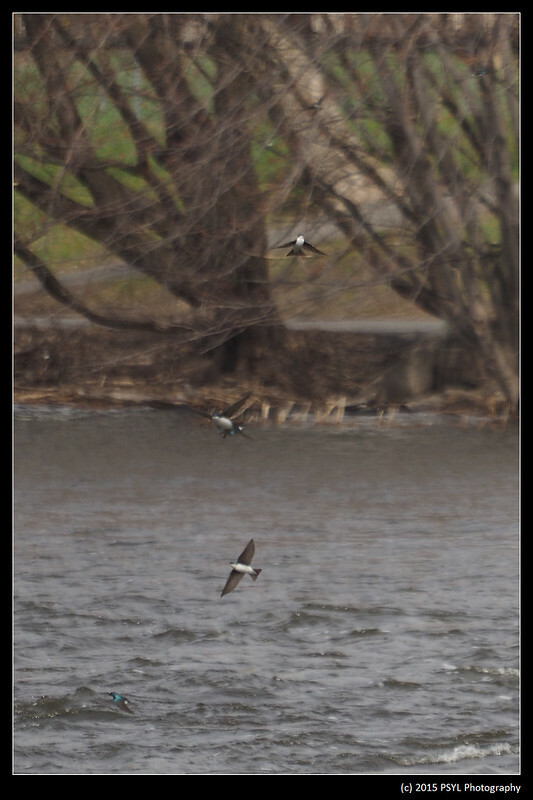 Today, I went for a walk during lunchtime to Strathcona Park and saw that the swallows, mostly Tree Swallows (Tachycineta bicolor) and some Barn Swallows (Hirundo rustica), are here! 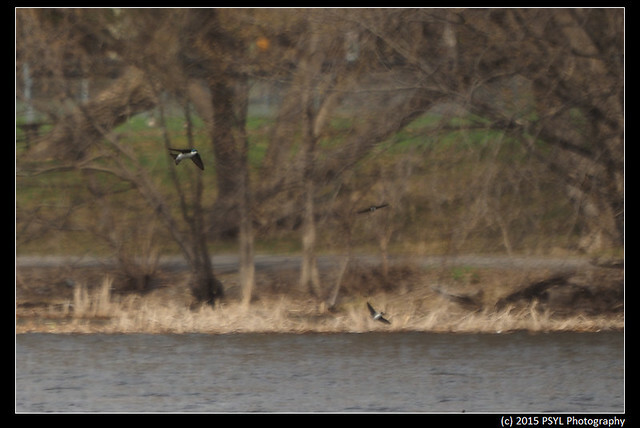 Taking pictures of swallows-in-flight is a nearly impossible task. 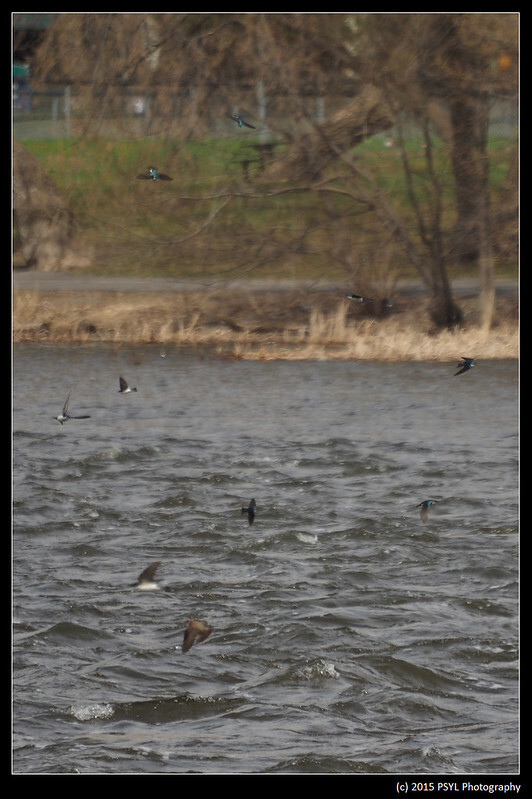 I tried manual focus and blindly clicked the shutter and hoped some photos will have the swallows in focus. I took at least 200 photos and here are some decent shots. 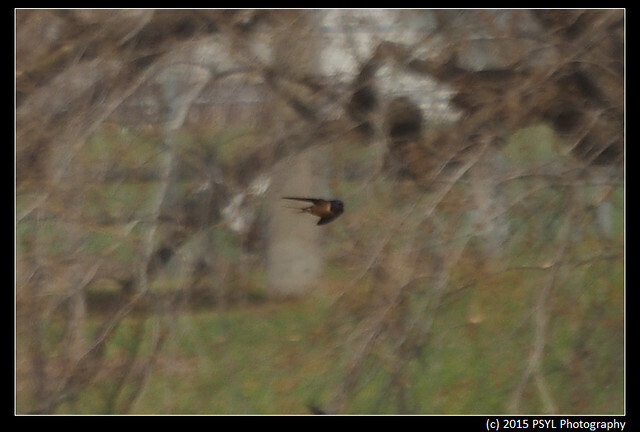 I got more in-focus photos of swallows' backs than their fronts for whatever reason. 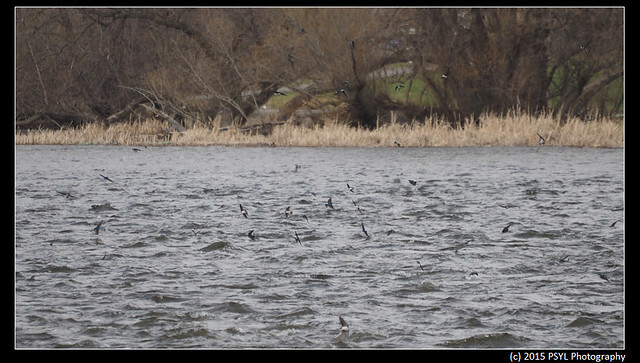 All of these images are cropped since the center of the river is about 15 metres away. 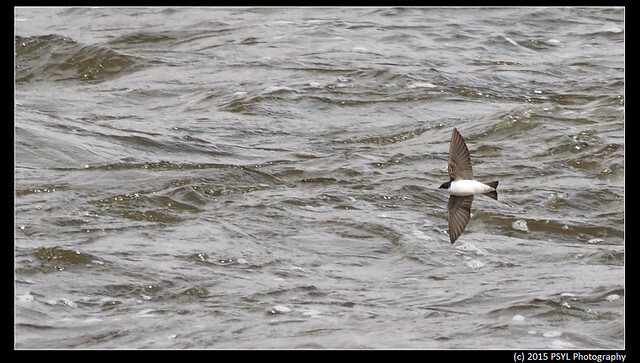 The less abundant Barn Swallow. 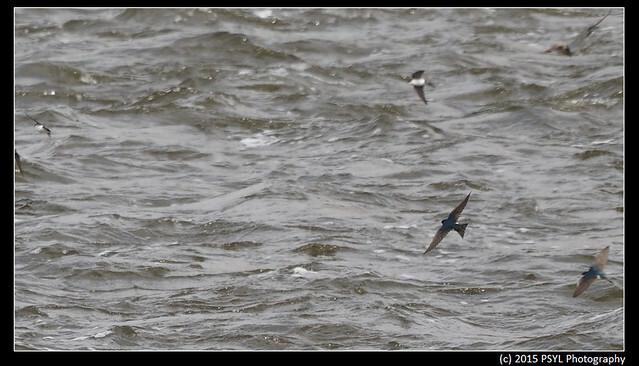 The best photo of the day, still not great though.